Museum Collection. Donated by the Salvatore Family Foundation. Paintwork and interior are original. 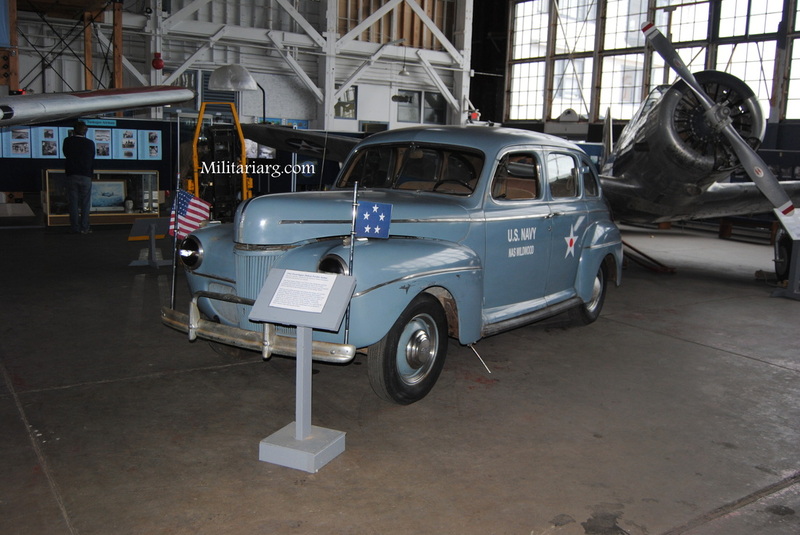 This Super Deluxe Sedan is one of more than 88,000 that the Ford company delivered in 1941, accounting for about 15% of their production that year. 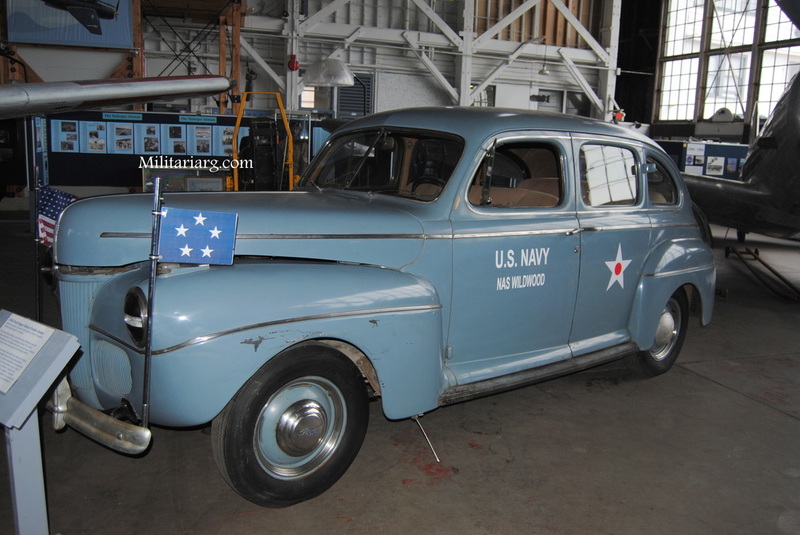 Ford Sedans were one of several types of vehicles used as Staff cars at naval bases such a NASW during WWII. Staff cars are civilian passenger cars used by military for carrying high ranking officers, messengers and performing administrative functions. 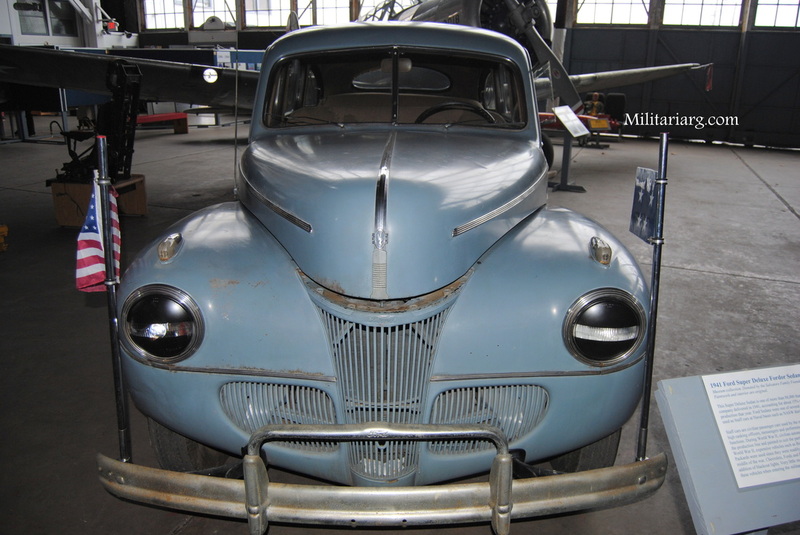 During WWII, civilian automobiles were taken from the production line and painted to suit the particular service. 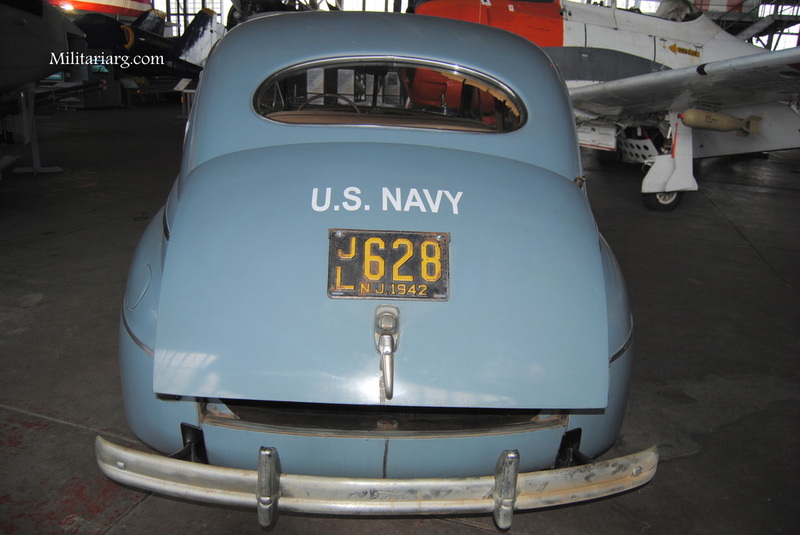 Early in WWII, expensive vehicles such as Buicks, Cadillacs and Packards were used since they were readily available . 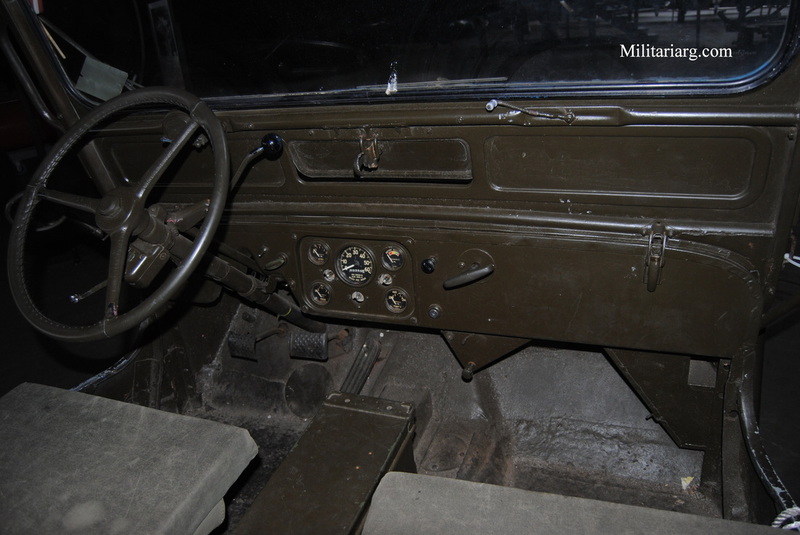 Toward the middle of the war, Chevrolets, Fords and Plymouths were used with the addition of blackout lights. 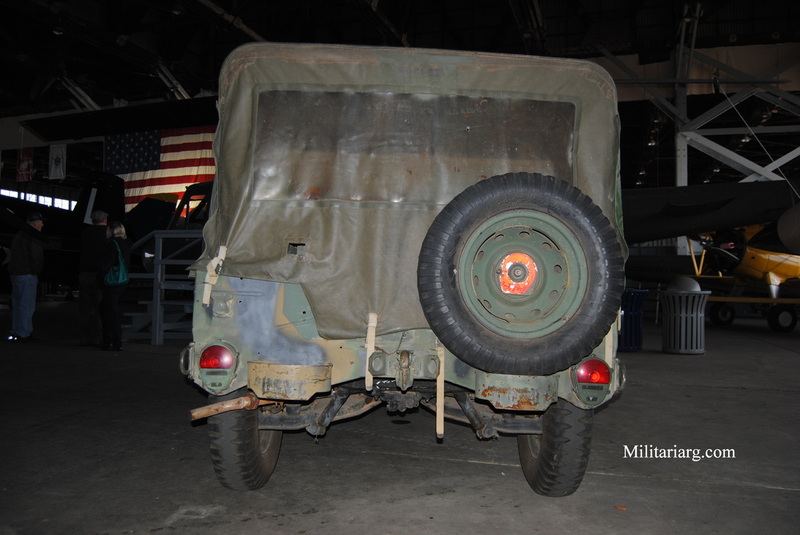 Very little modification was performed to these vehicles when entering the military. Wildwood Naval Air Station, Aviation Museum. 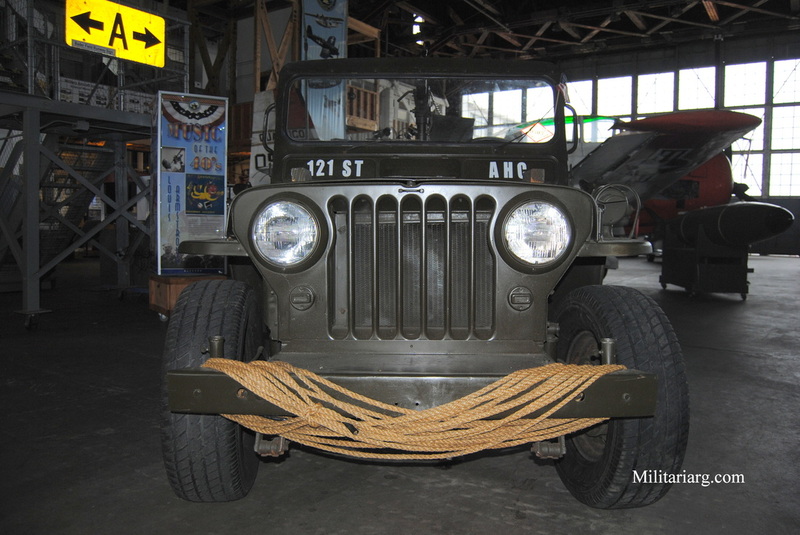 Willys MB. 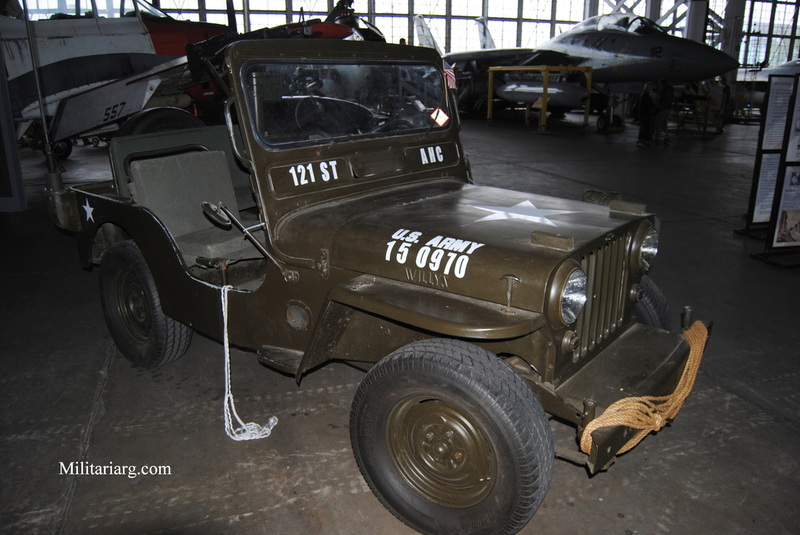 Wildwood Naval Air Station NJ Museum. 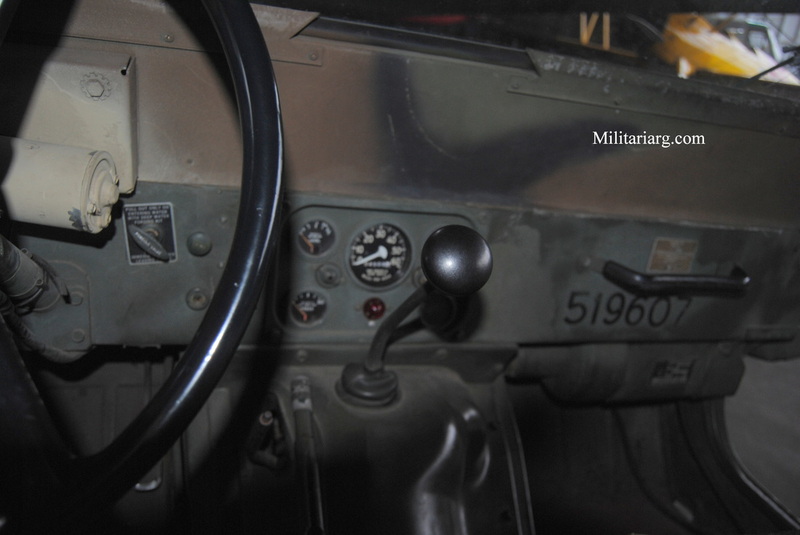 RT-524/VRC VHF Vehicle Radio and PRC-25 radio manpack. 1 1/2 ton trailer; (Diesel Generator). US duck amphibious vehicle (Boston Tour Bus). 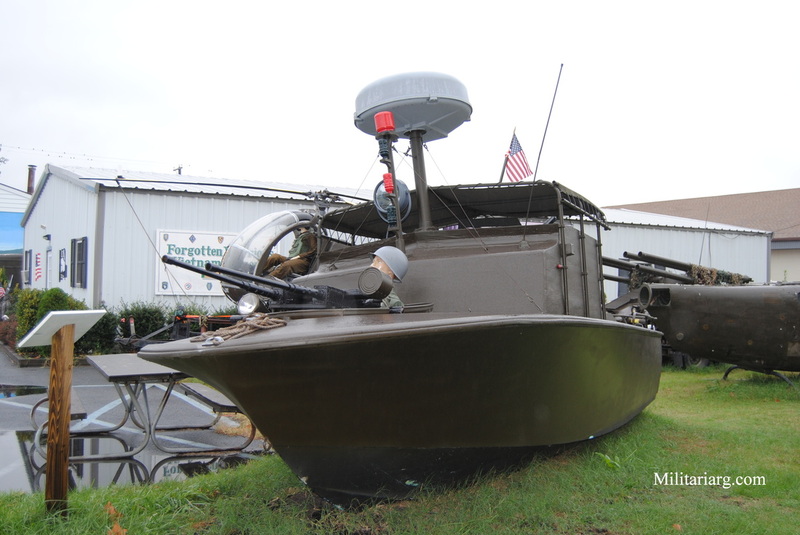 The DUKW (popularly pronounced "duck") is a six-wheel-drive amphibious truck that was designed by a partnership under military auspicies of Stephens & Stephens and General Motors Corporation during World War II for transporting goods and troops over land and water and for use approaching and crossing beaches in amphibious attacks. 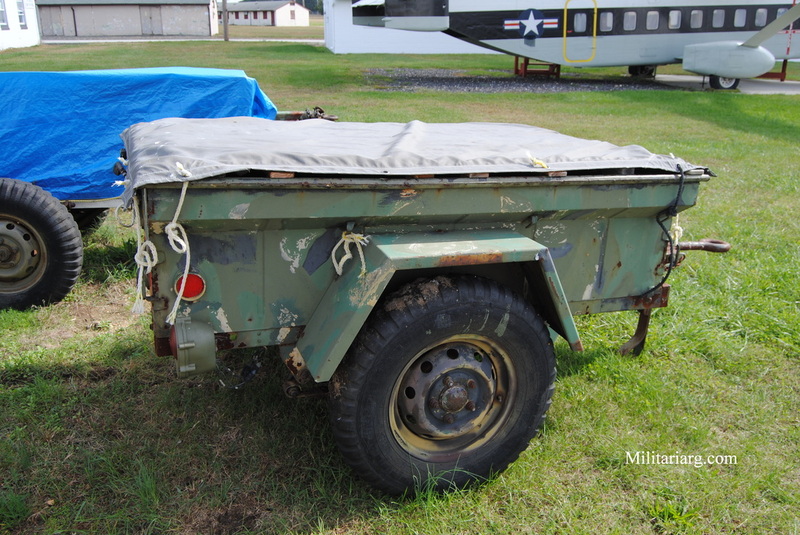 Designed to last only long enough to meet the demands of combat, productionized Ducks, a modification of the 2-ton capacity "duece" trucks used by the US military in WWII, were later used as tourist craft in marine environments. 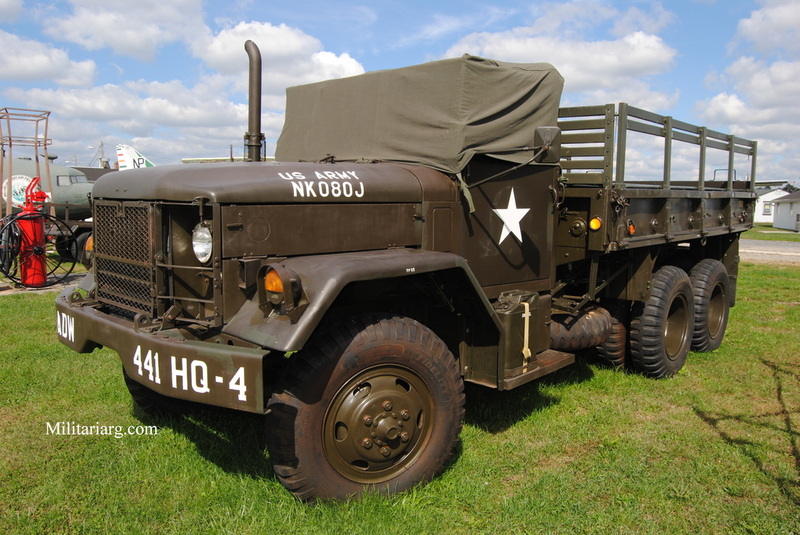 The designation of DUKW is not a military acronym – the name comes from the model naming terminology used by GMC; the "D" indicates a vehicle designed in 1942, the "U" meant "utility (amphibious)", the "K" indicated all-wheel drive and the "W" indicated two powered rear axles. DUKWs are still in use, as well as purpose-built amphibious tour buses, primarily as tourist transport in harbor and river cities, including but not limited to:Washington, DC; West Palm Beach; Seattle; Philadelphia; Cincinnati; Pittsburgh; Chattanooga; Nashville; Boston; Branson, Missouri; Grapevine, Texas; Hot Springs, Arkansas; Saugatuck, Michigan; Liverpool; London; Ottawa, Canada; Dublin, Ireland; Rotorua, New Zealand; Belgian coast (Blankenberge, Koksijde) ;The Netherlands; Singapore; Stone Mountain Park, Atlanta, Georgia, Portland, Maine and Wisconsin Dells, Wisconsin. 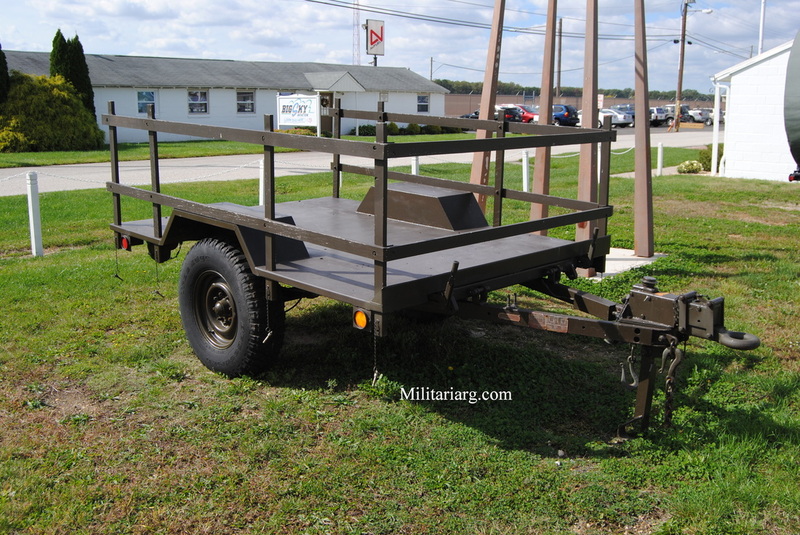 Trailer cargo, 1/4 Ton, 2W, M416. Federal Stock No 2330-706-5495 Manufactured by Stevens MFG. Co Ebensburg Penna PA. Model 614-65. 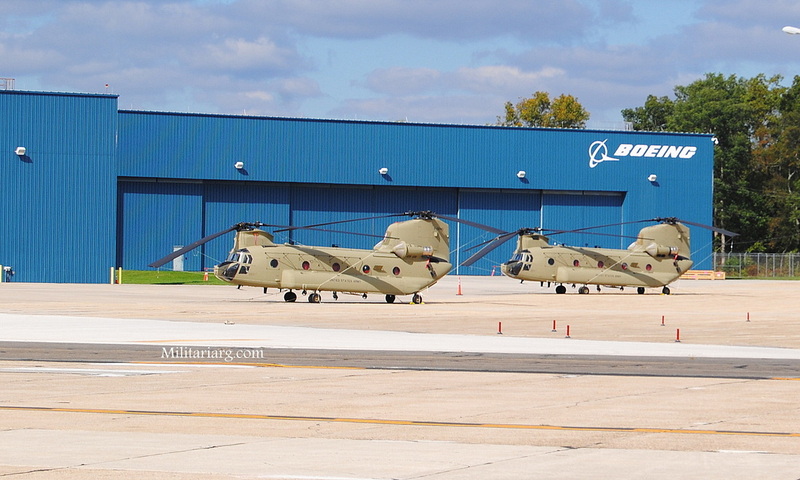 Bell OH-13G "Sioux". Korean War Era. 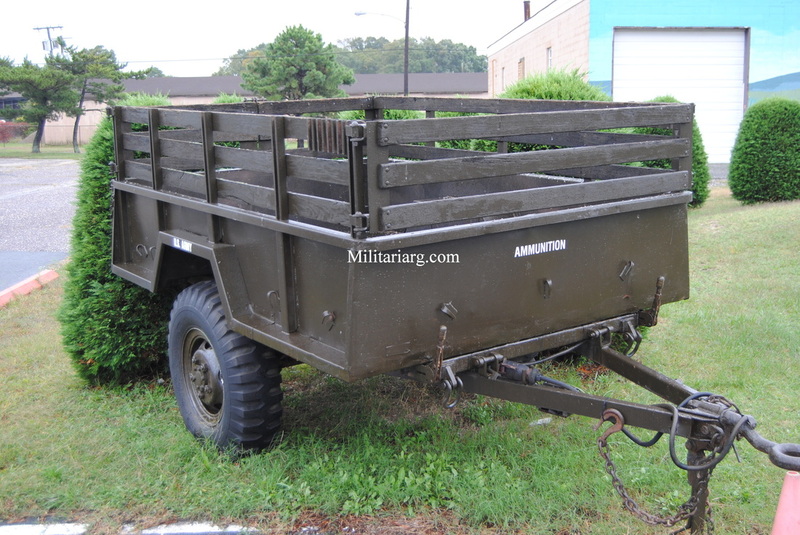 Used with M*A*S*H units Vietnam War Era. Hughes OH-6A "Cayuse", Light Observation Helicopter. UH-1 Huey. This helicopter served in Vietnam. AH-1 Cobra Helicopter - Used in the Vietnam War as part of a "Kill Team", the Cobra flew behind a LOACH helicopter and acted as a gunship. 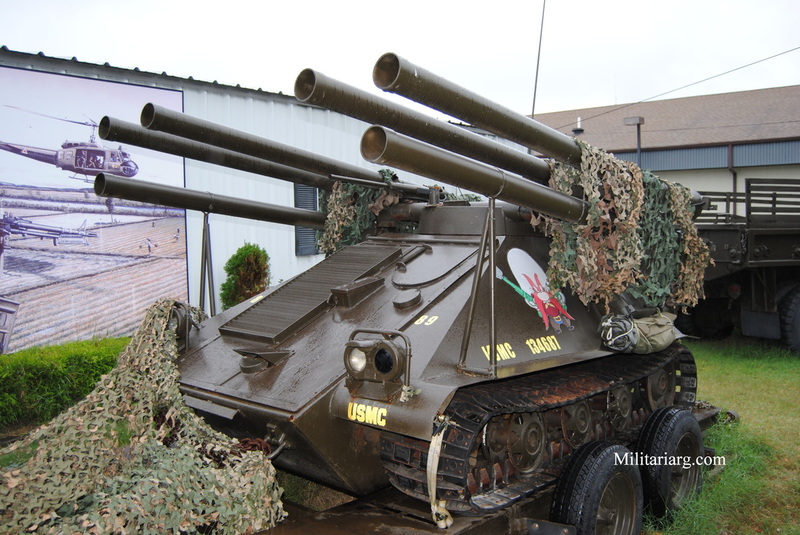 8 TOW missiles, 20mm/30mm cannon. 70mm rockets & high explosives, multipurpose or smoke wing stores. Sikorsky HH-52A (1969) "SEAGUARD". Deployed on the US Coast Guard Icebreaker Polar Star in Alaska. 1917. WWI. Lieutenant-Colonel LTC George Patton of US 1st Tank Battalion and Renault FT18 Light Tank. The US also made a version of this called the Six-Ton Model 1917 with a 37mm cannon, a Colt 7.62mm machine gun. Left: Patton and his M3 Stuart at the Desert Training Center, CA -1942 w/ (Football) Helmet and M1938 Resistal Goggles and his Colt.45. Right: Patton Tanker helmet with Polaroid 1021 goggles and 1911 gun; (Note the slide locked to the rear) . Photo LIFE. Patton also used a B-3 style leather sheepskin bomber jacket. The tank soldiers also used flexible rubber Polaroid M44 goggles and rubber US Pioneer Scientific goggles. Polaroid Aerial Camera Filters M1944. M5 High-Speed Artillery Tractor, 1942. 6x6 M8 "Greyhound", Armored Reconnaissance Vehicle, (Light Armored Car), M8/20 (Armoured Utility Car) (Ford Motor Company). Engine Hercules JXD 6-cyl. 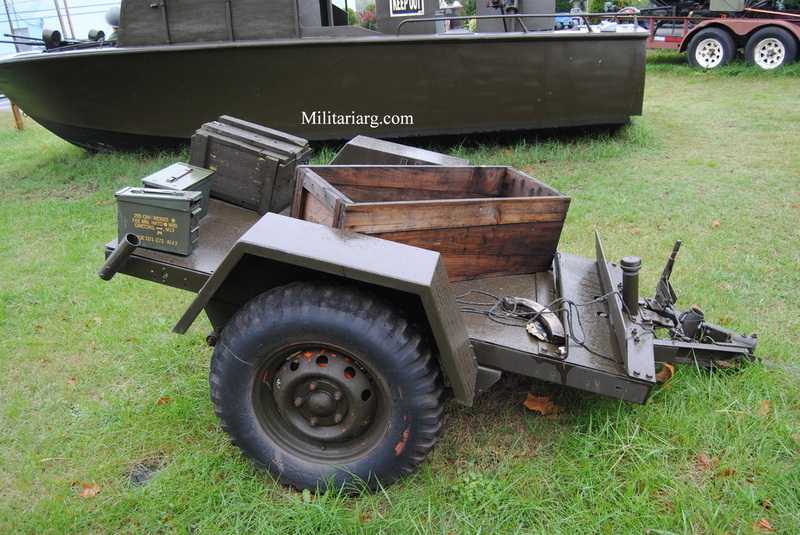 The M20 Armored Utility Car, also known as the M20 Scout Car, was a Greyhound with the turret removed. 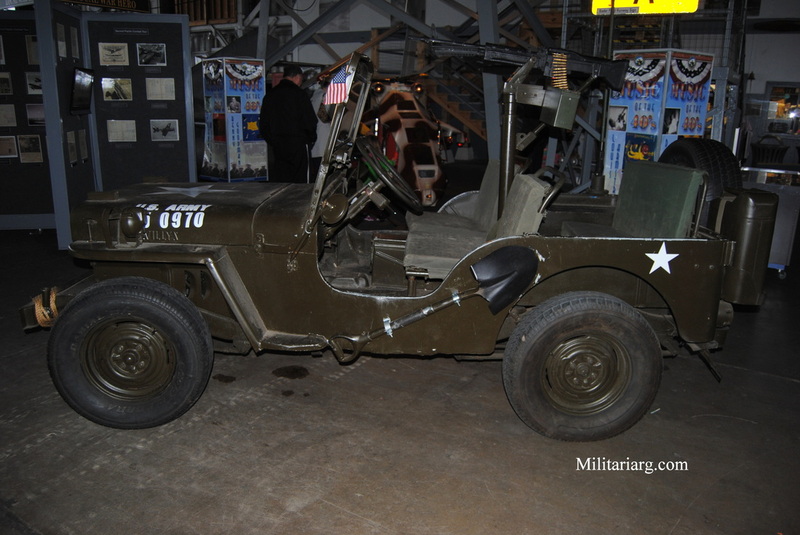 This was replaced with a low, armored open-topped superstructure and an anti-aircraft ring mount for a .50 caliber M2 heavy machinegun AA. 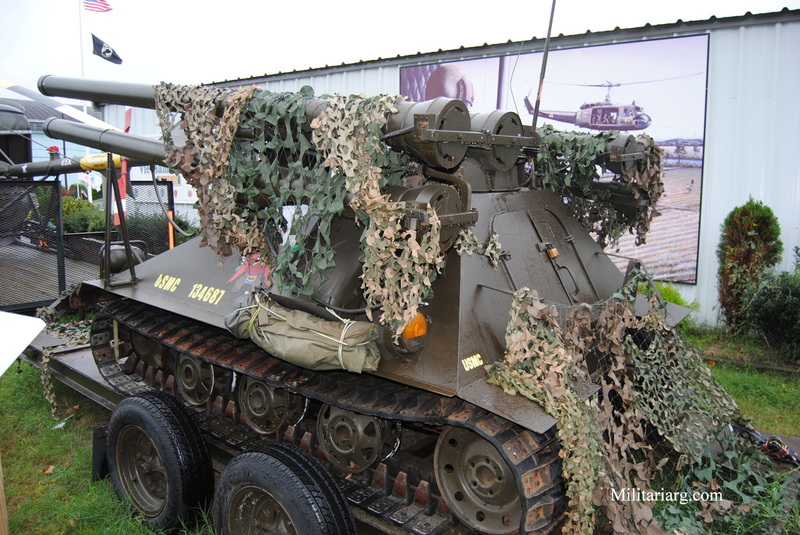 A bazooka was provided for the crew to compensate for its lack of anti-armor weaponry. Wikipedia . The telescopic sight used to aim the main 37 mm gun. The M8 was fitted with a 37 mm M6 gun (aimed by M70D telescopic sight), Photo Wikipedia. 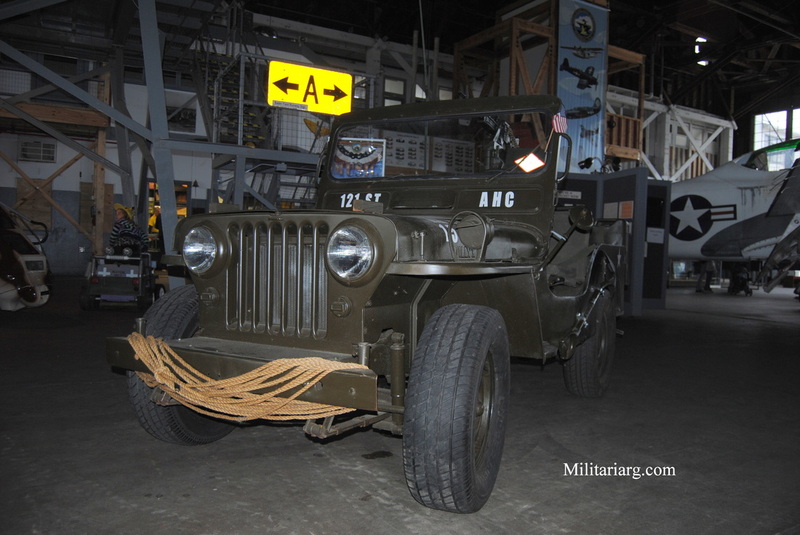 US M16 MGMC Half-Track. 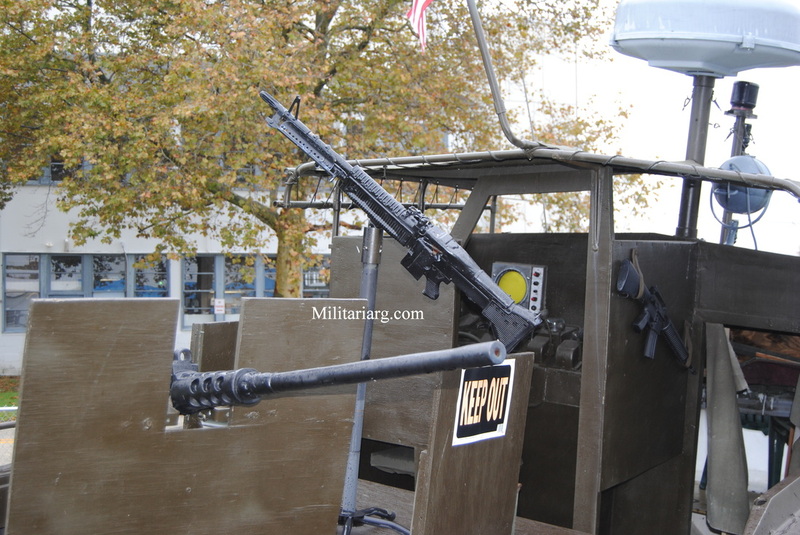 (M3 based Multiple Gun Motor Carriage equipped with the Maxson M45 with 4 M2HB machine guns. Wikipedia. Vertical volute spring suspension. The Bogie truck with four pairs of small wheels on each side type Vickers suspension. 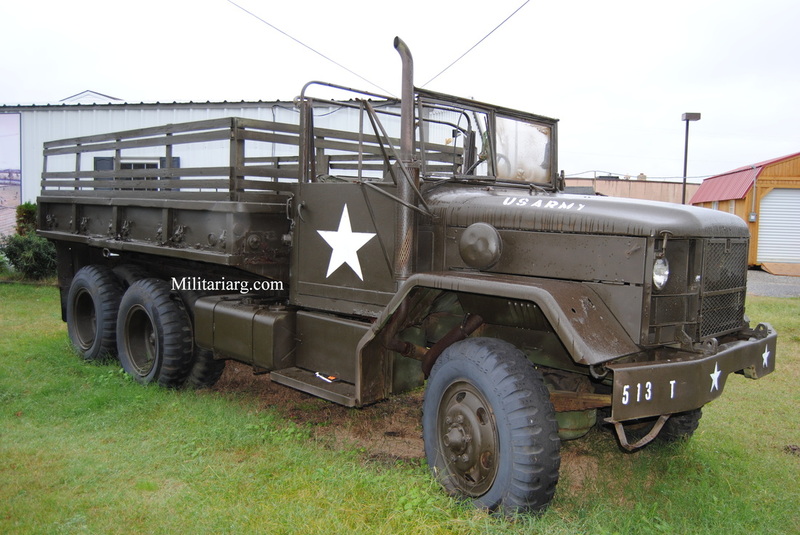 The M59 was a U.S. armored personnel carrier that entered service in spring of 1954 replacing the the M75. It had three key advantages over the M75: it was amphibious, had a lower profile, and was considerably cheaper to produce. 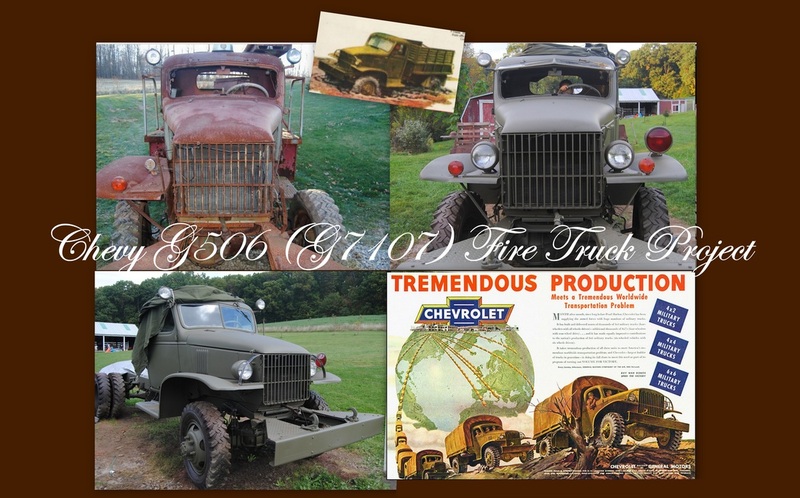 Approximately 6,300 were built before production ended in 1960. 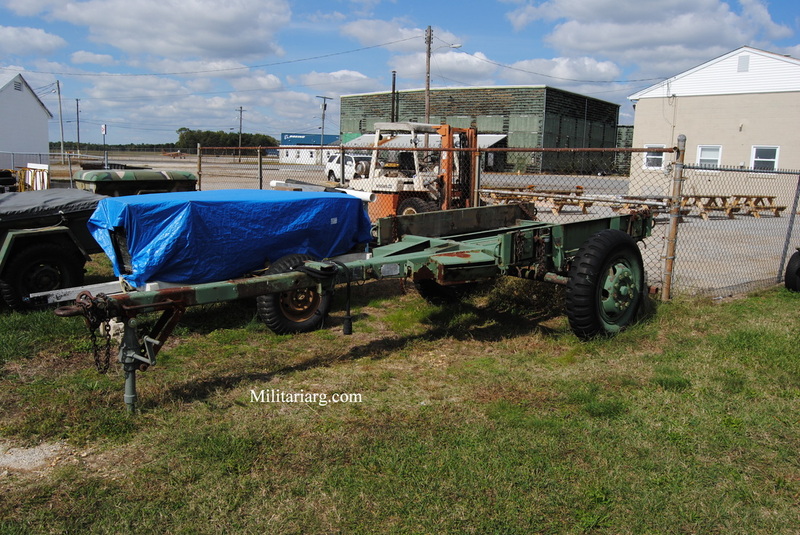 The M84 Mortar Carrier was a derivative of the M59. 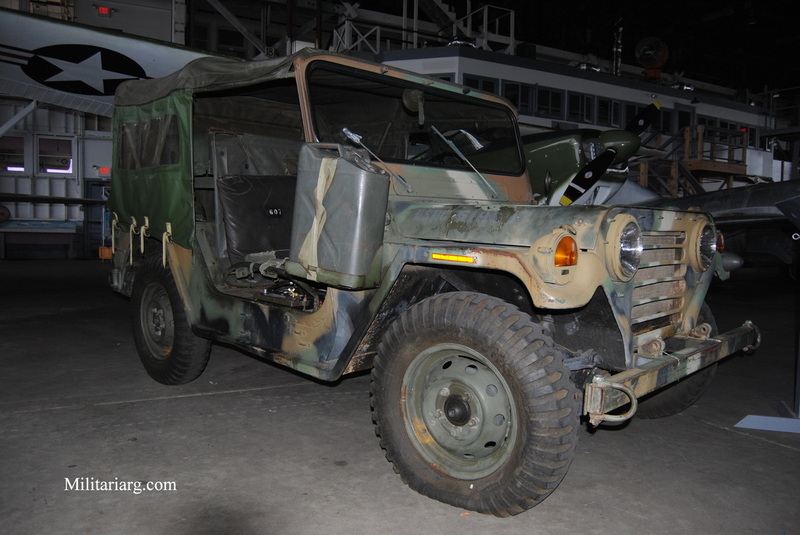 The M59 was replaced in service by the M113 family of vehicles. Development work on a replacement for the M75 began in late 1951, with the Food Machinery and Chemical Corporation (FMC) producing a number of prototypes. The best performing of these, the T59 was selected and type classified as the M59 in May 1953. FMC were awarded the production contract. 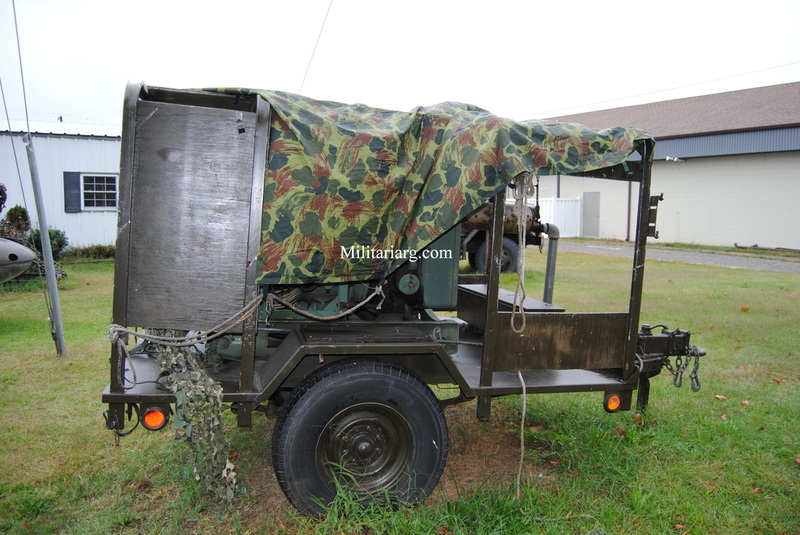 M84 Mortar CarrierThe M84 was a modified M59 that carried a 4.2" mortar pointing backwards. Roof plates on the M84 could be opened to allow the mortar to be fired from inside the vehicle. 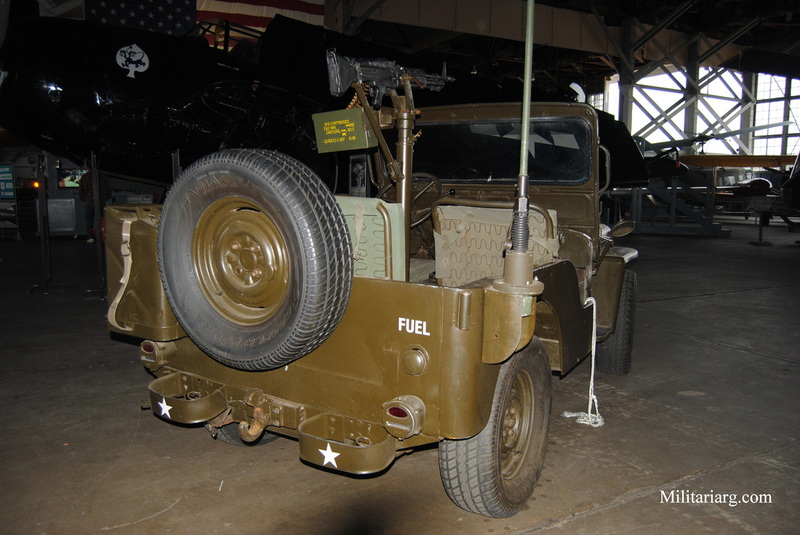 The M84 only carried a crew of six but weighed 47,100 lbs (21,400 kg) because of the mortar and the combat load of 88 rounds. The M84 entered production in January 1957. 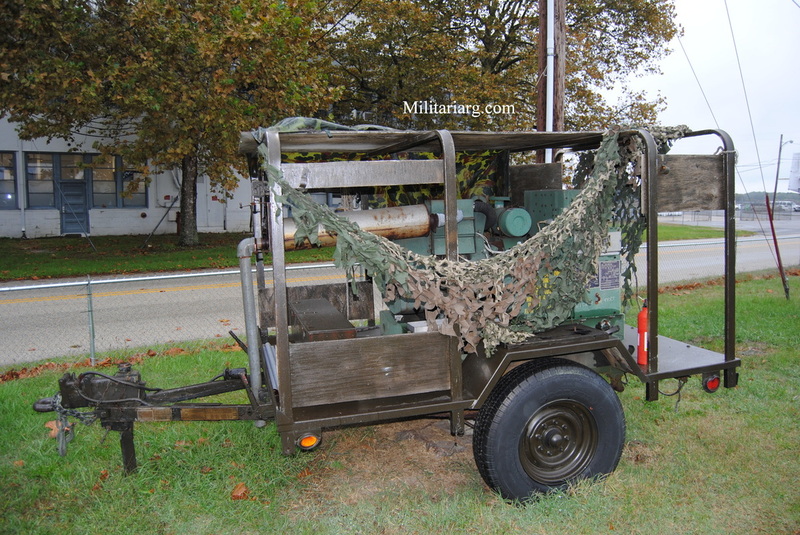 It was replaced by the M106 Mortar Carrier. M75 APC (armored personnel carrier). The M75 is a American armored personnel carrier that was produced between December 1952 and February 1954, and saw service in the Korean War. 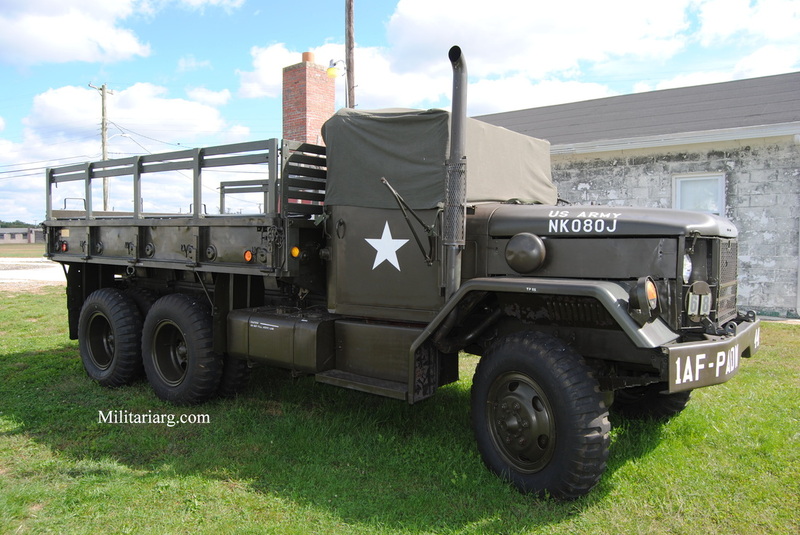 It was replaced in U.S. service by the smaller, cheaper, amphibious M59. 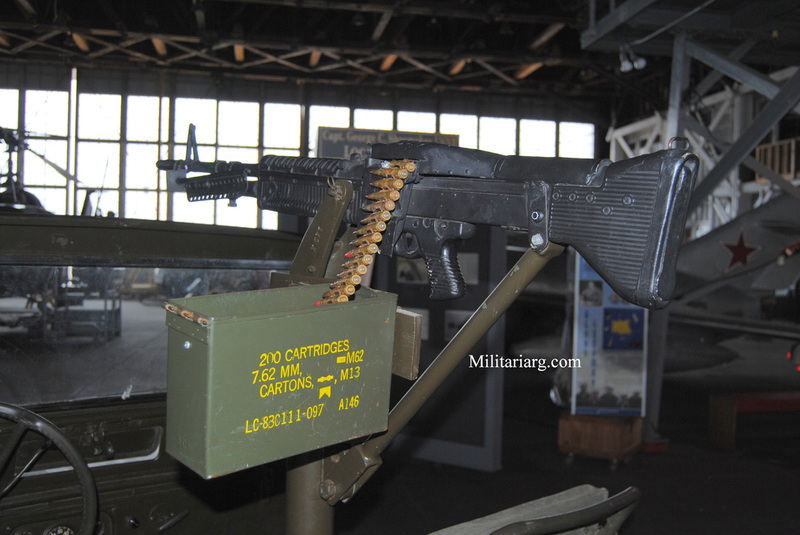 The M75s were given as military aid to Belgium where they were used until the early 1980s. 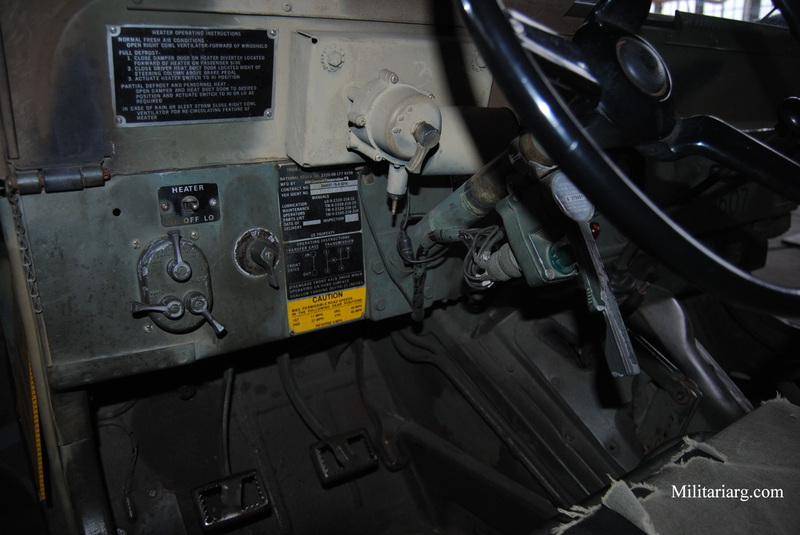 1,729 M75s were built before production was halted. Command variant, the roof over the rear troop compartment is higher. The vehicle also carries additional radios and a generator. 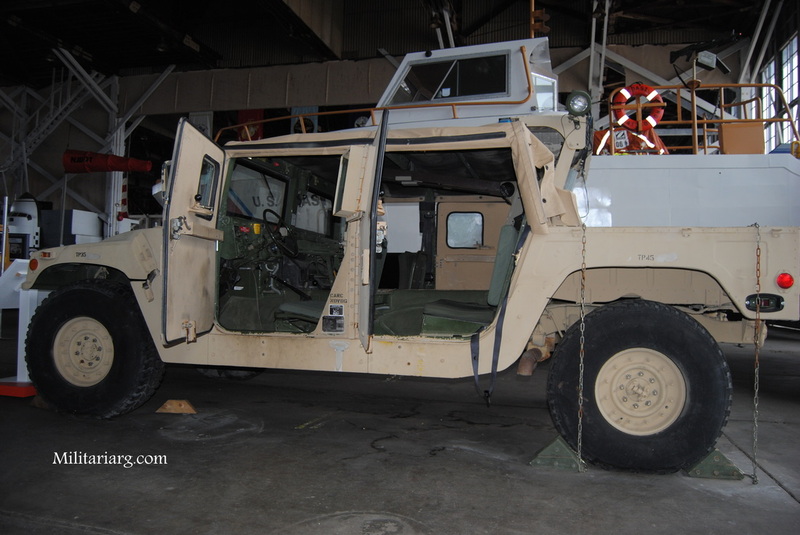 A variant of this is the M1068 Standard Integrated Command Post System Carrier, equipped with the newest US Army automated command and control system. Wikipedia. 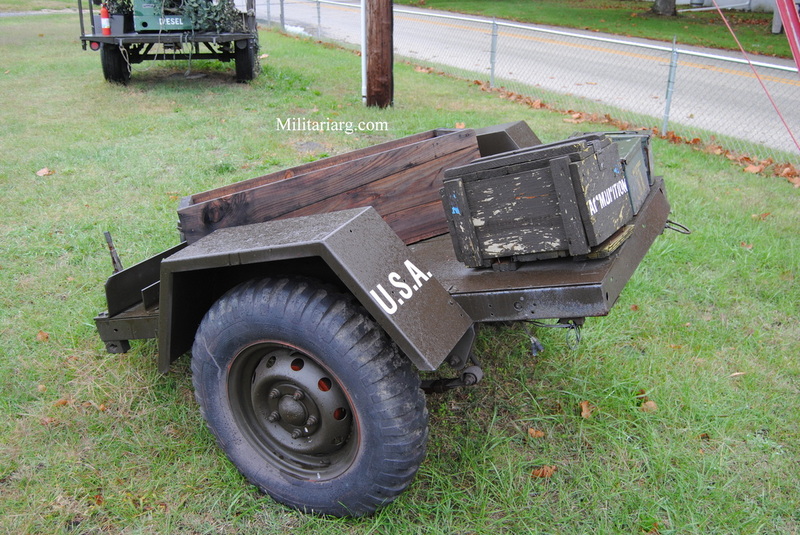 M548 tracked cargo carrier and M1015A1 electronic shelter vehicle. 105mm M2A1 Howitzer + M3 Lee Chassis = M7 "Priest". 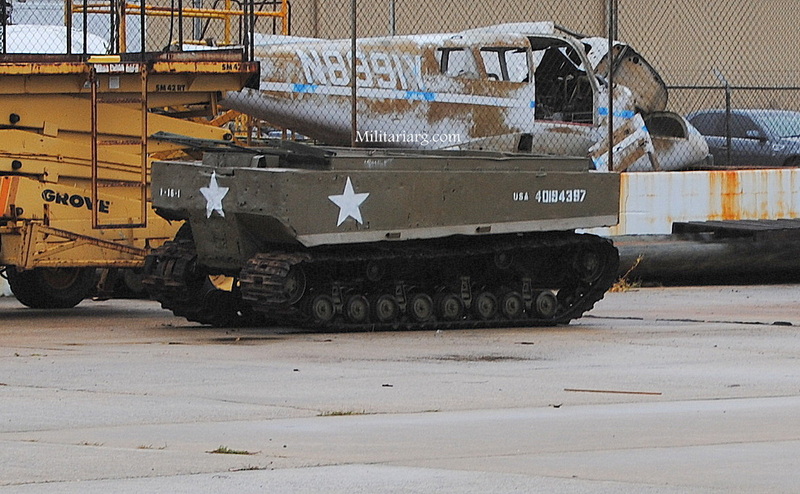 Bogie VVSS Vertical Spring with off-set roller as the M4 Shermans. Photo from Wikipedia. 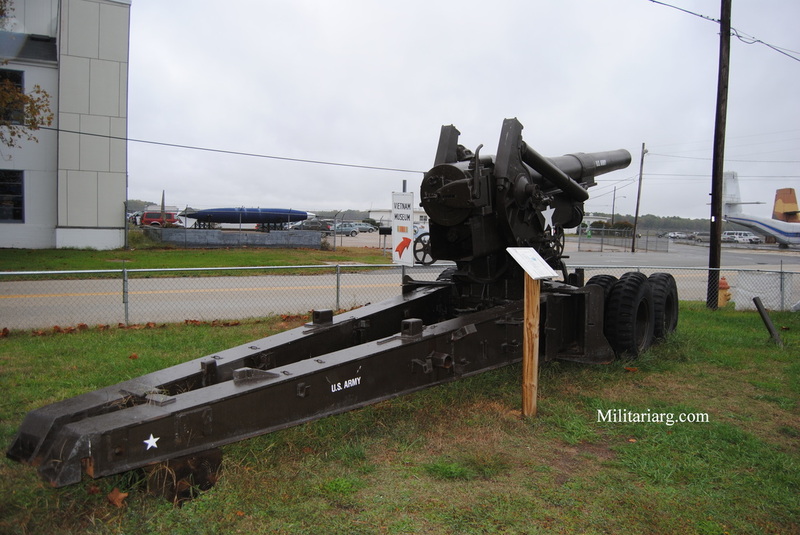 105 mm (4.1 in) (Royal Ordnance L7 105mm L52) M68 gun. FM K.4 Modelo IL. Argentina license produced by Fabricaciones Militares. Used on the TAM medium tank. Centurion Mk3 and Olifant, ENGESA EE-T1 Osório, Leopard 1, M1 Abrams early models, M47/48 Patton upgrades (M48A5), Up-gunned with the 105 mm M68 gun. . Centauro Iveco Fiat (Hull) - Oto Melara (turret), Mitsubishi Type 74 Nana-yon, Vickers-Armstrongs Vickers MKI MBT for export. 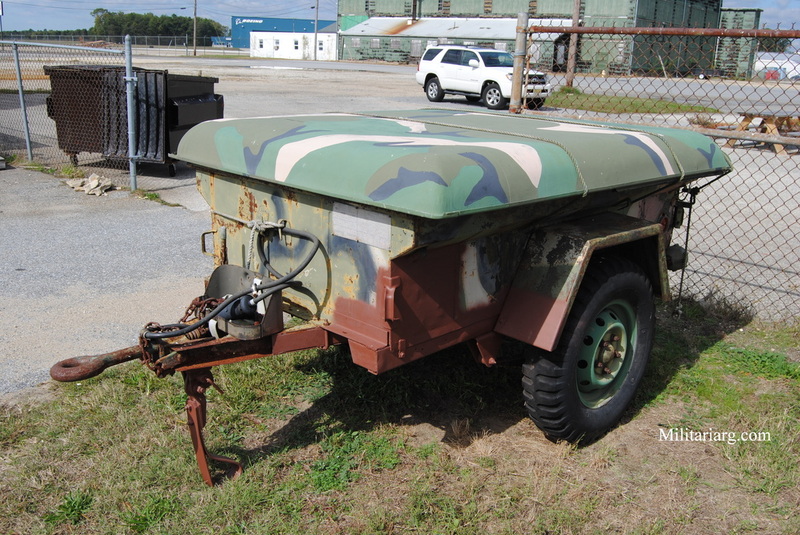 Stingray Light Tank is a light tank produced by Textron Marine and Land Systems Division, and others. This is an M60A3. Manny thanks to Mark Holloway for the correction. T92 Light Tank was an innovative American light tank developed in 1950s by Aircraft Armaments. At 18.5 tonnes, 5m length, it was designed as an airborne/airdropped replacement for the 5 tonnes heavier M41 Walker Bulldog. 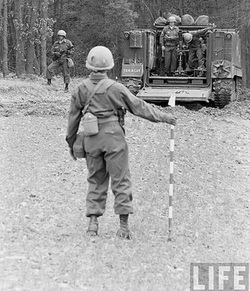 The T92 was never accepted into service. The main gun was a conventional 76 mm cannon with a very low profile turret. Little more was exposed than the main gun and two crew cupolas which allowed 50 caliber and 30 caliber machine guns to fire buttoned up. 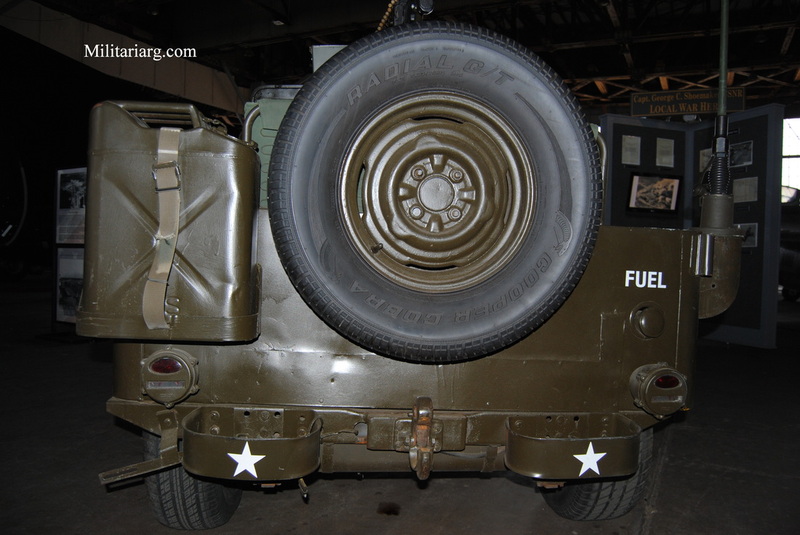 The engine is moved to the front, which increases protection, and a rear access door provided an escape hatch and protection while reloading. 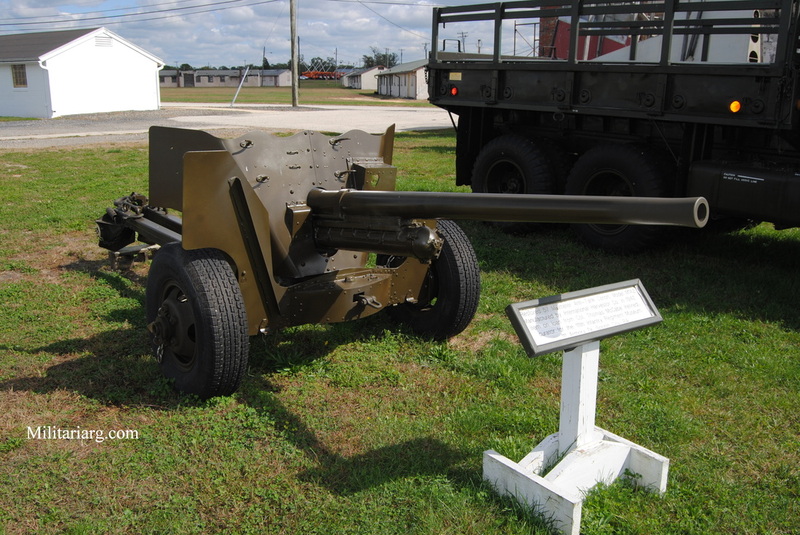 The M42 40 mm Self-Propelled Anti-Aircraft Gun, or "Duster," is an armored light air-defense gun built for the U.S. Army from 1952 until December 1959. 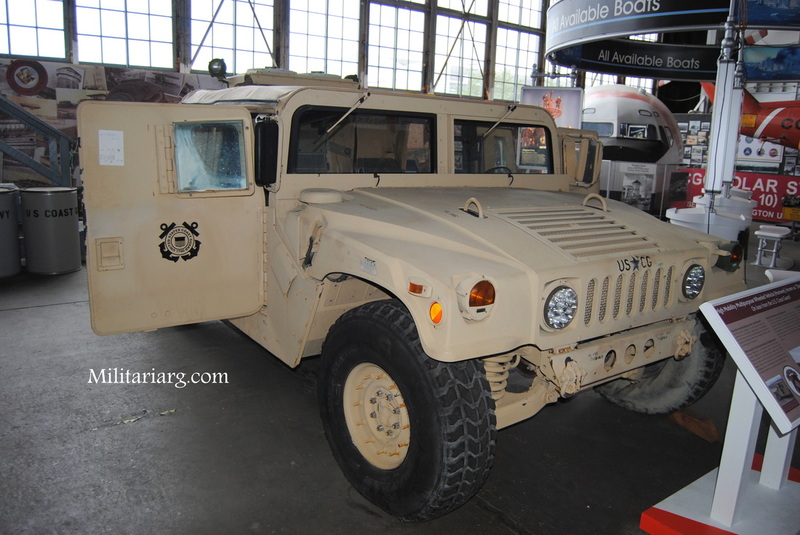 Production of this vehicle was performed by the tank division of the General Motors Corporation. 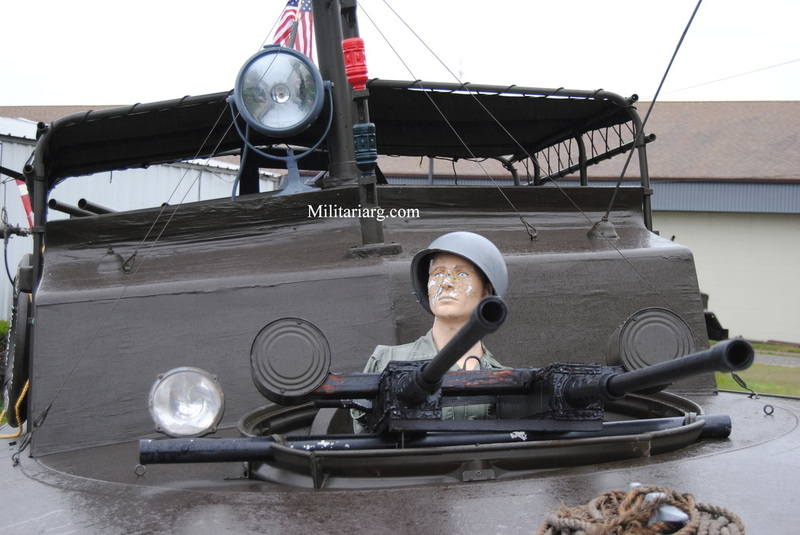 It used components from the M41 light tank and was constructed of all welded steel. The 500 hp, six cylinder, air-cooled, gasoline engine is located in the rear of the vehicle. A total of 3,700 M42s were built. The vehicle has a crew of six and weighs 22,500 kg (49,500 lb) fully loaded. Maximum speed is 45 mph with a range of 100 miles. 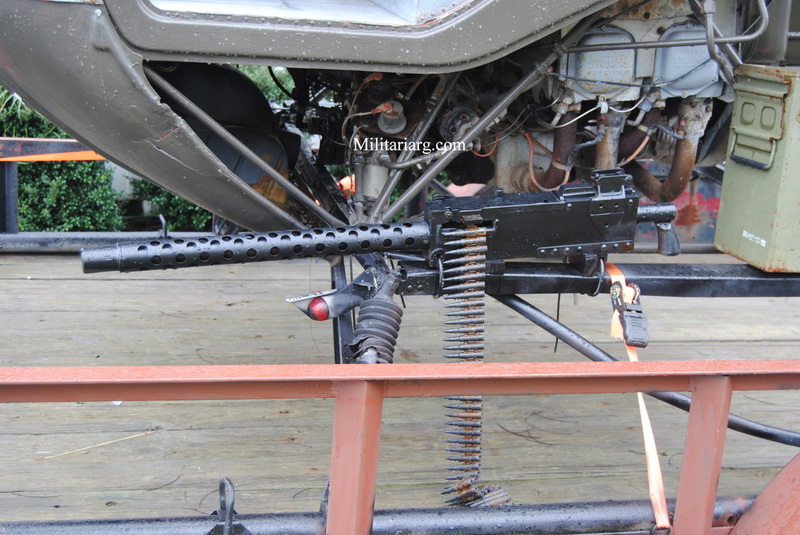 Armament consists of fully automatic twin 40 mm M2A1 Bofors, with a rate of fire of 240 rounds per minute (rpm) and either a .30 caliber Browning M1919A4 or 7.62mm M60 machine gun. 75mm M1A1 (M116) Howitzer, with M8 carriage. 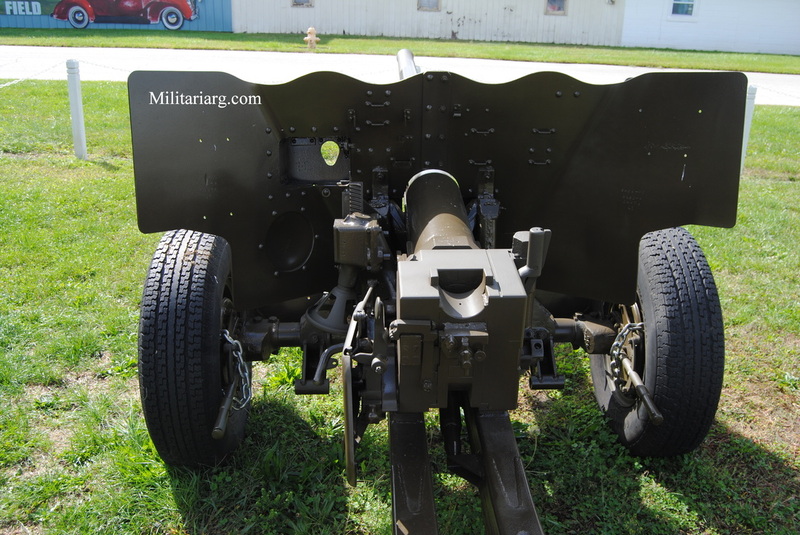 Restored 57 millimeter Anti-Tank cannon, Model M1A2 . 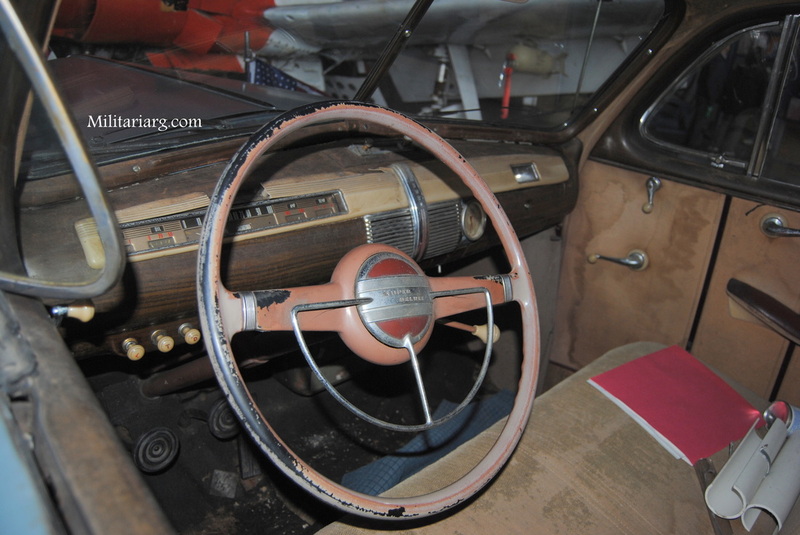 Manufactured by International Harvester Co. in 1942. Item on loan from Col. Thomas McCabe (Retired). curator for the 111th Infantry Regiment Museum, 111 Armory Dr Spring City PA. Millville. 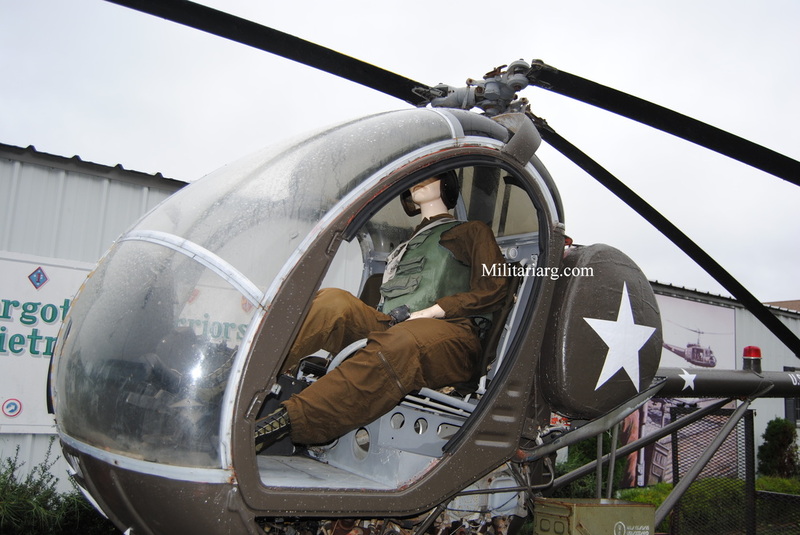 Millville Army Air Field Museum (MAAFM). Canon de 75 modèle 1897 "Bridget", French. 37 mm Gun M3. Anti-Tank gun. 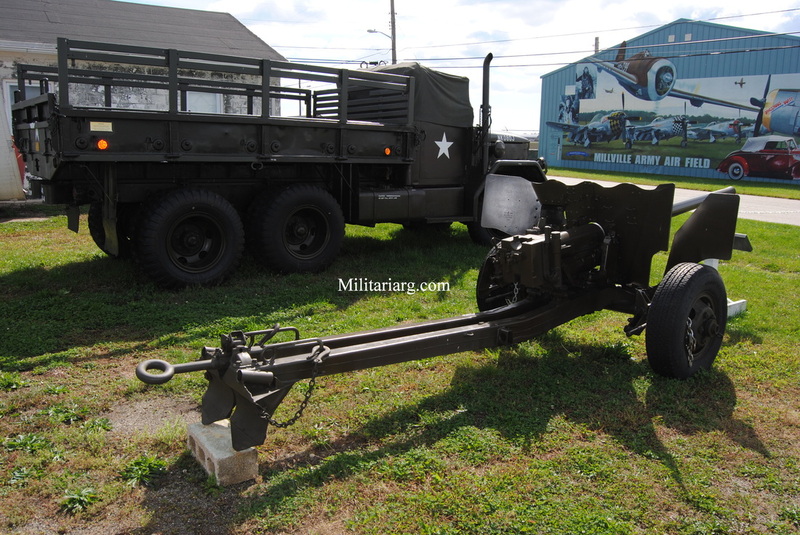 US M115 8 Inch Field Howitzer. Forgotten Warriors Museum Cape May NJ. 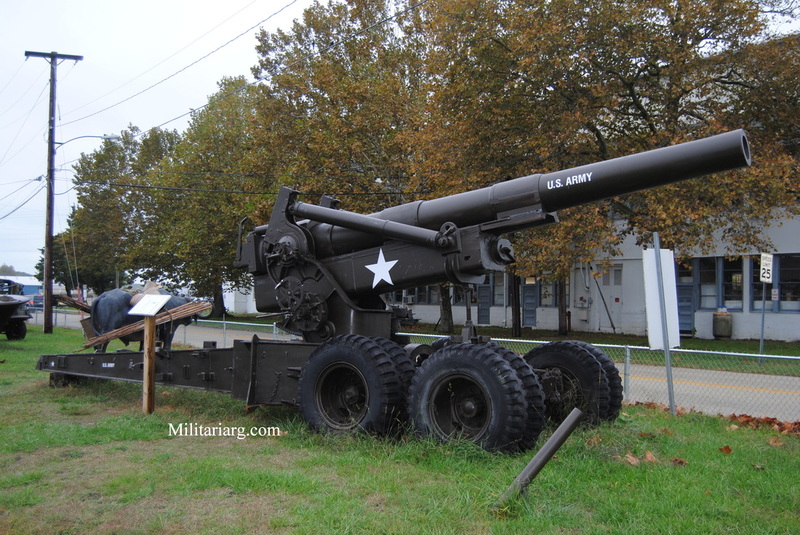 US Long Tom 155mm Field Gun. "Long Tom". M65 Atomic Cannon delivering 280mm over M249 4x4 Heavy Gun-Lifting Front Truck (Kenworth Motor Truck Company). This page is dedicated to B. Glenn Allardyce, LTC Armor US ARMY Retired and now Director At Large of The Blackhorse association and President of the Houston/SE Texas Chapter. providing college and trade school scholarships to deserving children from members of The Blackhorse Regiment who have lost a relative in combat. Please see their website at www.blackhorse.org and online store at www.blackhorsestore.org.